Since 2004, we have been building one of the most established and recognized wedding cinematography companies in Southern California! Who is Charles Lauren? It's our MIDDLE NAMES! David Charles and Kelsey Lauren Pluskat! Now that you know that, welcome to our life! Charles Lauren Films is a state of mind, a company made to make biographies of love and life for families. Sometimes when telemarketers call asking for Charles, we tell them that the real Charles is island hopping in the Bahamas with his Antilles Super Goose, or that he is at Sloppy Joe's in Key West telling tales of, what else, weddings past! We have filmed hundreds of weddings for the most fun and memorable couples anywhere! The passion and excitement we find in you rubs off on us, and we are always inspired. We push our creativity and innovation to new levels as we continue to capture the love and life of weddings! Many times, clients have confided in us that what we do is one of the hardest professions imaginable. Whether it's working on our feet for ten hours a day, having no lunch break, or always being in the right place at the perfect time - this is what we love to do! We are always on, ready to capture the moment. Your dream wedding is a once-in-a-lifetime event for you. It is also a once-in-a-lifetime event for us. We can't come back tomorrow and have a do-over. We must be flawless and perfect the first and only time. This is why you need us, because our energy and dedication makes us the best of the best at what we do! If you want a company this is driven, excited, and doesn't think that your wedding is just another day on the job, you've found it! David found out in 1994 how cool it was to use technology to communicate the stories of events. While working at Lakewood Public Access, he made David's Town, a 50 episode show going around to community events with a "Multi-Cultural Emphasis" the business card said. He quickly started doing independent and contracted projects for his school district, local business and eventually the Arts Council for Long Beach, the City of Long Beach, Lakewood, non-profit groups and the Los Angeles School District. Finding ways to be involved in the stories of the community was apparently very prevalent in his work. He went to California State University, Long Beach and majored in Film. Check out some pictures from those early shoots with Kelsey in the slideshow below. He still maintains his ties with the University, working on projects all over the campus, including Advanced Media Production and the College of the Arts. While in college, he spent time working at Sony Pictures in the post-production department, being a tiny small part of The Patriot, Charlie's Angels, The Kid and others. After graduation he started Charles Lauren Films with Kelsey. Heather is originally from Pennsylvania, but is now a busy media management producer in Southern California, and loves to film weddings! She has worked with us for years, and makes everyone feel at ease. Kelsey began her interest in documentary television when she was hired as an Assistant Segment Producer for the hit PBS TV show California's Gold with Huell Howser. Already dabbling in filmmaking techniques with her high school sweetheart David, she was on track to be a top producer. The only question was, "what to produce?" She could continue traveling and making shows for TV, with a grueling schedule and no time for anyone; or she could become an entrepreneur and produce wedding films. This was a good idea, after all, she would be making films about her favorite subject, Love. So she started Charles Lauren Films with David and never looked back. 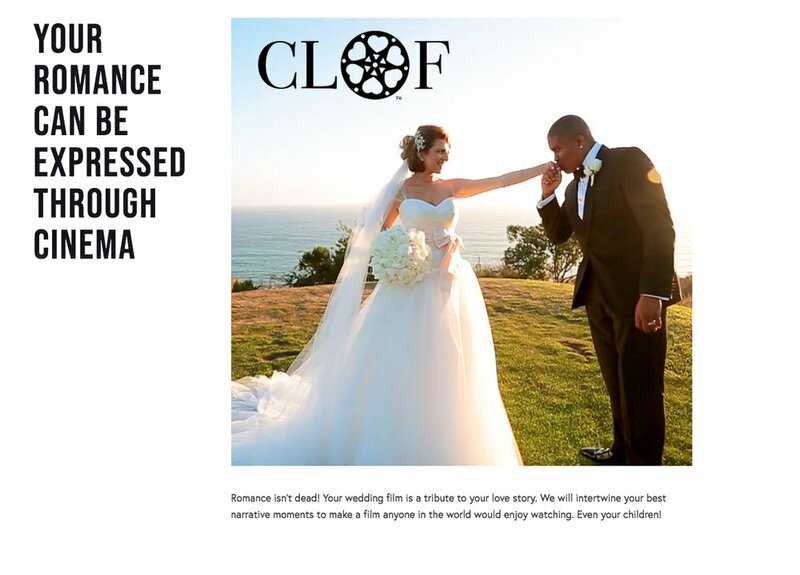 Most of her Hollywood friends scuffed at the idea, feeling wedding videos were beneath them, but for Kelsey, it empowered her. A new story every week, different people, different cultures coming together, and finding a way to film it was killer cool! Mixing narrative structure with creative images to tell the story of a wedding day is her passion. Kelsey does most of the editing - her favorite thing. She also films and meets clients in the initial booking stages - with a smile on her face! If you've received an email response to your inquiry, she probably wrote it, no templates here! Amanda has had a long relationship with Charles Lauren Films. She knew Kelsey in High School and worked at the same TV channel as David in her early years. She majored in film at Cal State Fullerton. Call (888) 544-3399 to reserve YOUR WEDDING DATE.